Simple, intuitive, click-minimizing, and beautifully designed. It’s what you’ve always wished your accounting software could be. Financial reports are a good way for you as a business owner (or people like lenders and investors) to get a good idea of how your business is doing in certain key areas. 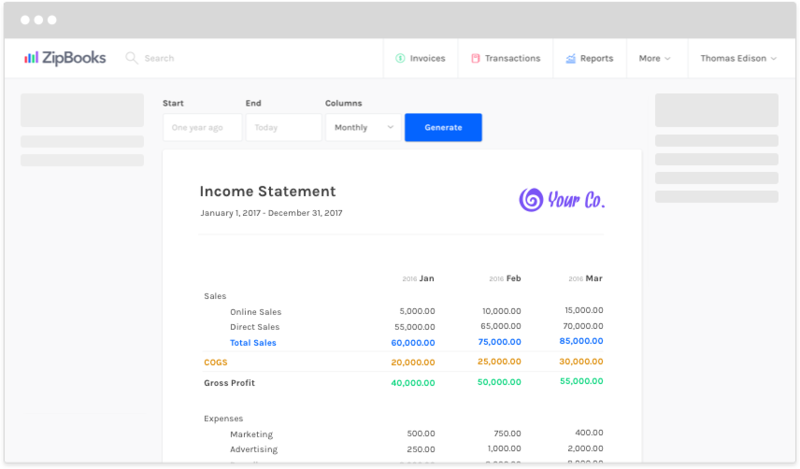 ZipBooks makes it easy to see information like where your business is making and spending the most money, how you're doing on collecting money due to you, and how you finance your business's operations.